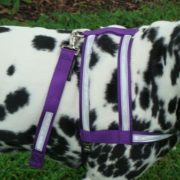 This dog body harness features a 3M Scotch-lite strip to reflect headlights and keep you and your pet safe in the dark. 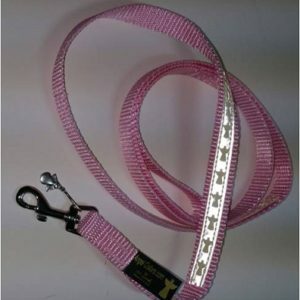 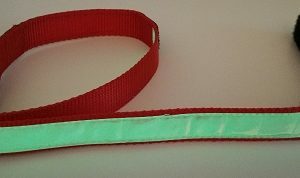 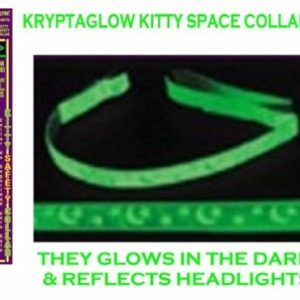 The Co-Leash Body Harness with 3M Scotchlight strip is the same as the Kryptaglow harness design but has instead a 3M light reflective strip that can be seen in headlights from great distances. 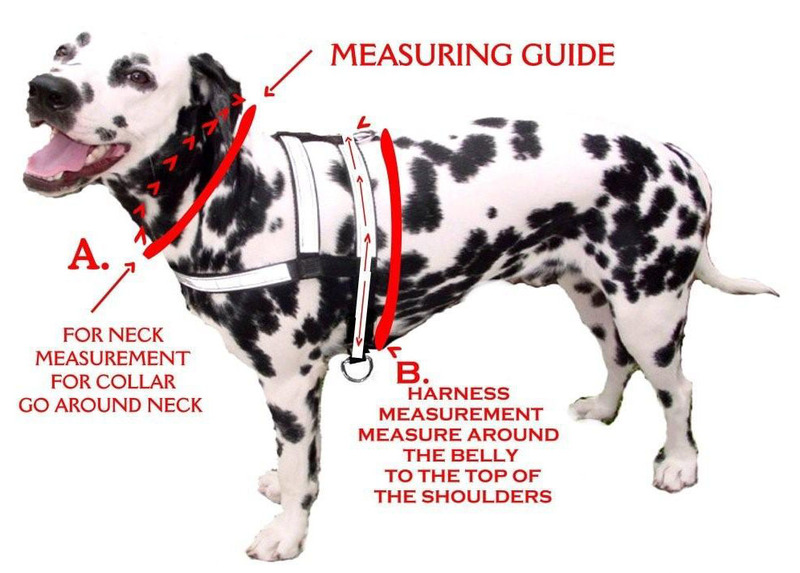 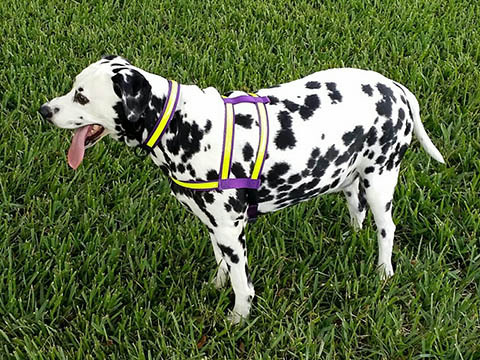 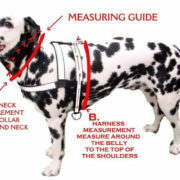 Even a flash light can make it easier to find your dog when wearing this harness. 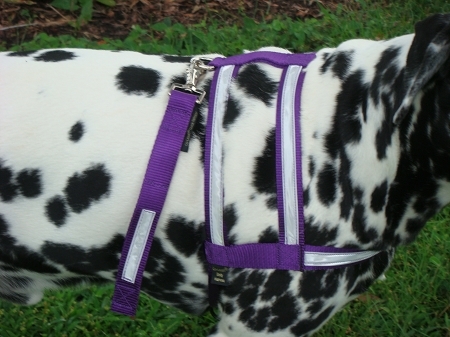 It features the Quick Release for the seat belt or a short leash. 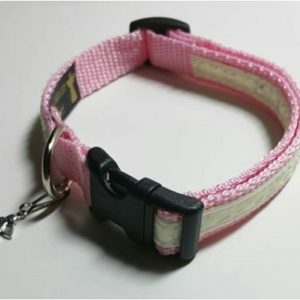 Use with the belly D-ring and its perfect for the seat belt and allows the dog to turn around without being caught up in shoulder strap of seat belt as with other designs.